Trooper Robert Fisher was killed in a motorcycle accident on the Dixie Highway four miles south of Hoopeston. He was following a bus across a bridge when an oncoming car sideswiped it before it collided with his motorcycle. The driver of the offending vehicle was arrested and convicted of manslaughter. 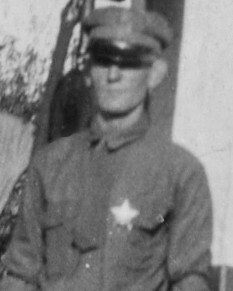 Trooper Fisher had served with the Illinois State Police for five years and had previously served as a railroad police officer and a sheriff's deputy. He was survived by his wife and two children. Rest in Peace, Trooper Fisher. Your sacrifice is not forgotten.